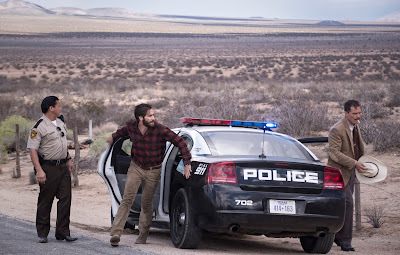 It's sometimes hard to tell where reality begins and where the fever dream ends in NOCTURNAL ANIMALS. And I suppose that's intentional from writer/director Tom Ford (A Single Man), who's as known for his extravagantly stylized sets as he is his gutting screenplays. But in this new film, an emotionally brutal thriller adapted from Austin Wright's book, Tony and Susan, there is nothing ambiguous about its message. Plain and simple: it's about revenge in its most vicious form--heartbreaking, precious, manipulative, and beautiful. Given its cunning execution, many may wrongfully assume that the perpetrator of such thorough yet spiteful malice would be a heartbroken woman a la Alex Forrest in Fatal Attraction or Amy Dunne in Gone Girl. But actually, it is the male lead character (impressively portrayed by Jake Gyllenhaal) who's nursing a wound so deep in his heart that he's exacted an exquisite plan to inflict a level of emotional pain on his former sweetheart (a transformative Amy Adams) to which only he could relate. In doing so, Ford forces us to consider our own gender biases when it comes to how we regard psychological crimes of passion--and who gets to be the victim. Adams plays Susan, whose evolution from a rebellious young Texas dreamer and artist to a predictable wealthy art gallery owner, "a realist" (to quote her) unhappily married to a man best described as a hot rich Ken doll (Armie Hammer), has incited equal amounts of regret and achievement. Her hyper structured new life is interrupted when she receives a package in the mail from her former love from 19 years prior, Edward (Gyllenhaal), the one she dropped like a bad habit, containing a copy of his new novel that includes a dedication to her. Eager to delve into what she suspects is the novel he had struggled to write while they were together, Susan quickly discovers that her once sensitive lover has turned into a blackhearted man when characters in his savage novel bear shocking resemblance to the two of them...and their unborn child. Down to the red hair. As Susan exhaustively tears through each page of the manuscript, she soon learns the devastating fate of her fictional inspiration--and that this isn't the elegant love letter she anticipated, but a revenge fantasy. The one who got away, the one she once considered too idealistic for her increasing cynicism, has completely gone to the dark side. And she brought him to this point. Hell hath no fury like a woman scorned? Pshaw, hell hath no fury like a man scorned. Obviously. With NOCTURNAL ANIMALS, Ford shatters common romance tropes like second chances and serendipity, and explores the roles classicism, suppression, and rage play in destroying those ideals. The sharply designed set highlighting Susan's world is in deep contrast to the dangerous Texas highway in Edward's man-made nightmare. While both don't actually belong in the spaces they occupy, they seek comfort in the authority they both allow them. 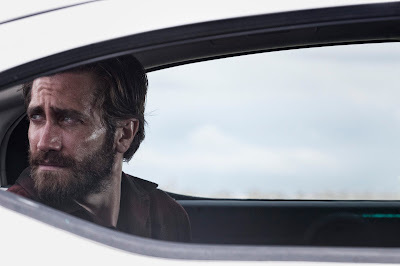 And Adams is striking to watch as a woman who receives a rude awakening after it's too late, while Gyllenhaal propels the narrative with an explosive performance as essentially two characters--one which drives the motives of the other. I'd be remiss if I didn't mention the wild dog portrayal of Aaron Taylor-Johnson as one of Edward's fictional villains, and Michael Shannon as his wild card sheriff. Collectively, each performance draws us deeper into the depths of Edward's fury. What every great psychological thriller does--cast its audience of victims in its own twisted fantasy. NOCTURNAL ANIMALS is in theaters in select cities November 18. It extends to additional cities November 23, and will be in theaters nationwide December 9. Wow. Ok! I guess I'm seeing this one! Great review! I can't wait to see this, I really hope my theater gets it.